Are you looking for the perfect light for every emergency situation? Are you done storing hundreds of extra batteries? If this sounds like you, you need to look into hand crank flashlights. 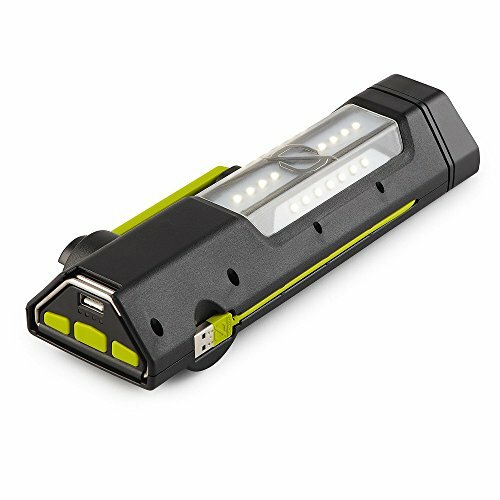 The best hand crank flashlights have a variety of useful features, such as hand winding, built-in solar panels, bright lighting, and durability. 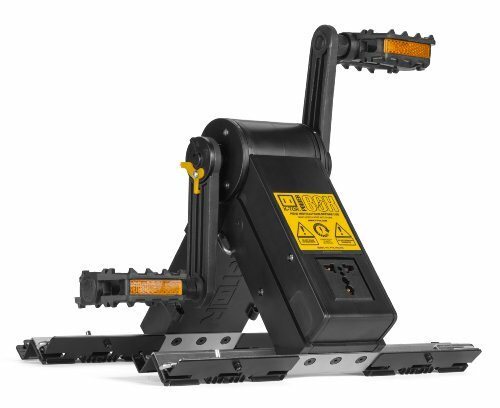 Designed for emergencies, hand crank lights do not rely on batteries or electricity for power. Keep reading to find out what we consider the best hand crank flashlights in the industry. How do Hand Crank Flashlights Work? Hand crank lights use power generated by a twisting, cranking, or shaking motion. Hand crank lights use electromagnetic induction to generate power. In hand crank lights there is a permanent magnet used to create the magnetic field. The rotational winding is provided by a lever or crank that provides a twisting motion, shaking can also work. The rotational winding is necessary to create the electric current to help power the bulb. The Dynamo with flywheel is the most recognizable of the hand crank lights. These lights use a flip out lever to charge. The lever looks like a fishing reel crank, it uses the same motion as a fishing reel to charge. Once charged the lever flips back into the body making the light easier to carry around. With crank style lights you charge the light via a twist-crank dynamo. The twist-crank uses a ratcheting motion rather than a reeling motion. The design of the twist crank is better than the lever crank because of durability. In cheap lights you run the risk of the lever breaking off, making the hand crank light entirely useless. You want to look for lights that are going to last the longest using the least amount of twists. As the name suggests a shake flashlight is one that is charged by shaking the light. The light can be shaken either side to side, up and down, or it can even use a squeezing configuration to get it charged. With a shake flashlight, you want to steer clear of the ones that are cheaply made. Avoid lights requiring constant shaking or squeezing. Pay attention to the how long the light lasts in relation to the time you spend shaking it. When shopping for the best hand crank flashlight you want to steer clear of the cheaply made ones. The best hand crank flashlight is built with quality pieces. Cheap lights require constant turning the to power the bulb. They also feel like they are going to fall apart each time you use them. Size and design also play a role in choosing a quality light. Utility style lights are designed for use in all emergency situations. Smaller specially designed lights are made for use around the house. Hand crank lights are excellent safety devices, but the best hand crank flashlight offers so much more. When considering the best hand crank lights you want to research each option to see how they can be used. Some models are simply emergency lights, while others offer alerts, sirens, USB charging stations, weather broadcasts, and a transistor radio. What other capabilities you want to be included with your hand crank light will depend on what you plan to use the light for. Rather than purchasing a hand crank light that doubles as a charger, you can add a hand crank generator to your emergency kit. The Pocket Socket 2 is a 10 watt 120-volt charger that will allow you to charge your portable device. The generator requires you to plug in your device and turn the crank. The hand crank generator comes with a mechanical plug adapter, so it can be used anywhere in the world. The Pocket Socket 2 is made from polycarbonate plastic and will charge devices at the same rate as a traditional wall charger. Sometimes hand cranks are a little much, so enter the pedal generator. 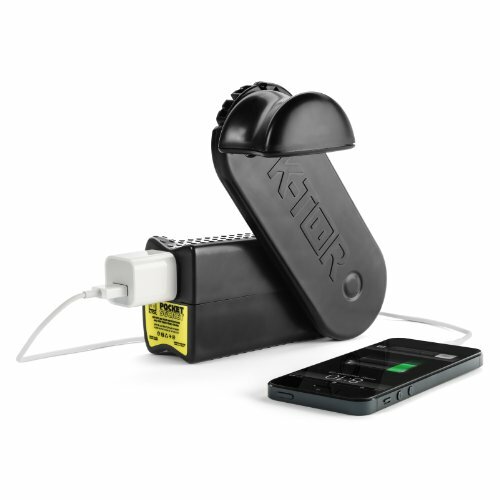 The K-Tor Power Box is a pedal generator with a 120-volt 20-watt output. The Power Box can charge various portable devices. The pedal generator uses ordinary bike pedals and is easy enough to pedal for a long period of time. The Power Box is collapsible to a small size to add to its portability. Pedal generator poses a problem as they can move as you are pedaling. With the K-Tor Power Box, there is the option of screwing down the generator to guarantee a stable environment. If you are on a budget and looking for a reliable, but lightweight hand crank light the American Red Cross Crank Flashlight is the best choice. The light offers a compact design along with a carabineer clip, so you can take it with you wherever you go. Relying on the hand crank to power the bright LED and USB charger you won’t have to worry about dead batteries during a true emergency. 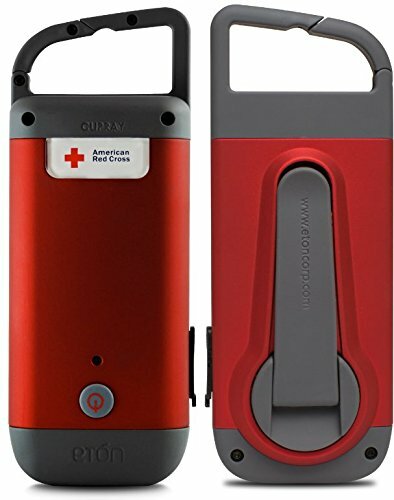 The American Red Cross Crank Flashlight is 100% portable and can be stored in your car, home, or emergency kit. 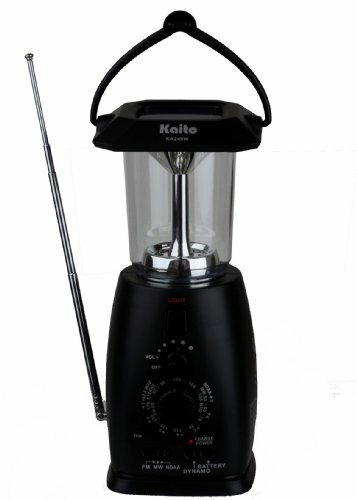 The Kaito KA249W makes the best hand crank lantern because of how many extra features it offers. The Kaito KA249W provides light in an emergency, but also offers an AM/FM/NOAA radio and a cell phone charger. The lantern can be powered 1 of 3 ways, solar, hand crank, or batteries. The 8-LED lantern offers two brightness levels and requires 15 minutes of cranking for an hour of light. If you plan to use the USB charging feature that comes with the Kaito KA249W you will want to make sure you do it correctly. To charge your USB device 2 AA batteries need to be installed. The battery selector needs to be moved to the battery, and you need to turn the crank at two revolutions per minute. 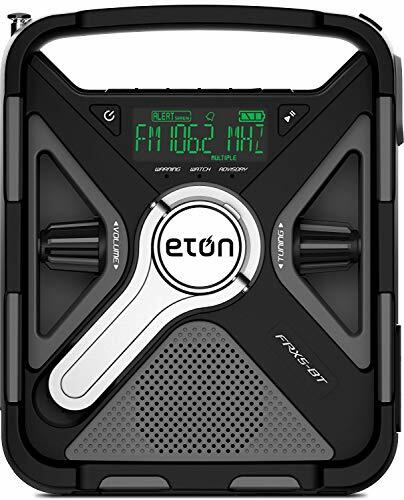 Sometimes you need something more than a flashlight, which is where the Eton FRX5-BT comes in. The FRX5-BT offers a rugged design, perfect for outdoor adventures. It has been drop tested and can withstand impacts of up to 3.3 feet. The unit itself is not waterproof, but it has an IPX-4 rating making it water resistant. With the FRX5-BT you can receive both S.A.M.E. and NOAA alerts on the alert function, plus features an AM/FM/NOAA radio bands. The FRX5-BT offers three power options, hand crank, batteries, and solar. The emergency light offers a red emergency beacon, bright LED, digital display, and so much more. The Goal Zero Torch 250 is hands down the best hand crank flashlight in the industry. The durable and rugged Torch 250 offers three different charging options: solar, USB, and hand crank. Solar panels located on the back of the light allow the light to be fully charged in 14 hours. USB utilizes a built-in cable that allows for a full charge in 7 hours. Hand crank gives two minutes of light for every minute of cranking. Along with a bright and half-bright mode the light provides users with multiple light options. The internal 4400mAh battery provides a maximum runtime of 7 to 48 hours depending on what setting is being used. 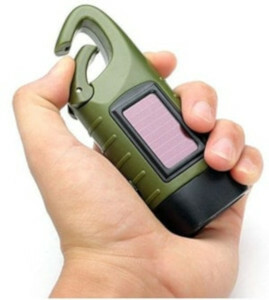 If you spend any time in the outdoors or venture out on road trips a hand crank flashlight is considered a necessity. Hand crank flashlights are ideal for use in emergency situations, but you want to make sure you get the best one. If you want the best hand crank flashlight you want to find one that is built with quality pieces and offers more than just a simple light. The best hand crank flashlights offer different power options, radios, emergency alerts, and USB charging. We have provided details for several different hand crank lights. The first three lights that we mention in this article are all great choices. They meet all of the requirements we set forth for a hand crank flashlight. However, the Goal Zero Torch 250 offers all of those and more, such as spotlight and floodlight, extended runtime, and two different modes. Now that you have all of the information you need to purchase the best hand crank flashlight, go out and purchase one today!